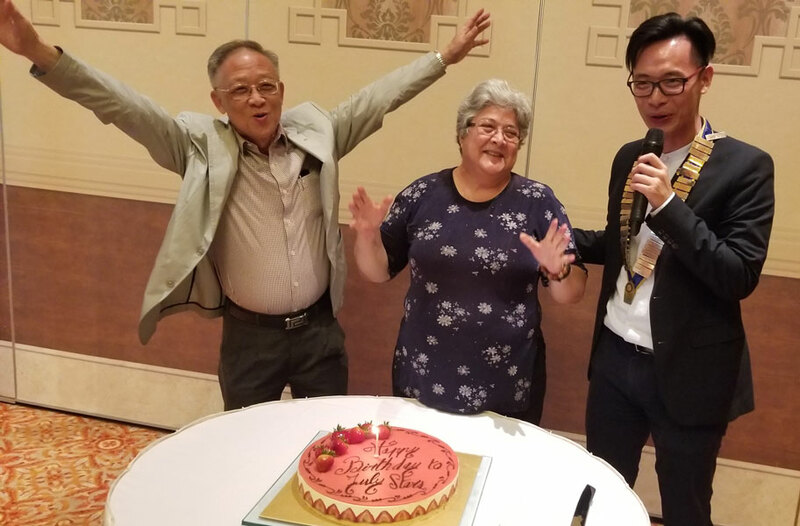 Thank for your entrusting me to serve as the president of the amazing Rotary Club of Macau in 2018-19. It’s with much anticipation as well as anxiety to chair the first meeting on Thurs, July 5. But thanks to everyone’s support, I managed and survived! 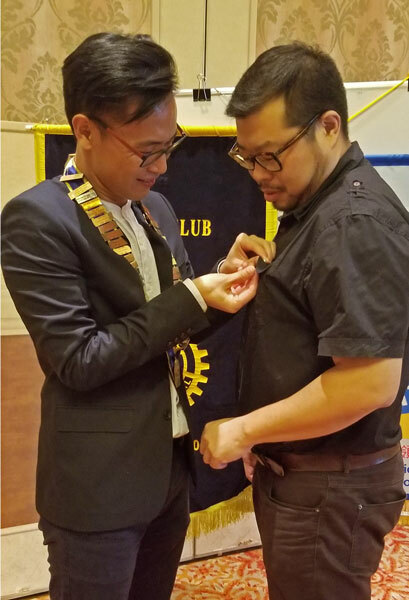 Many people turned up, including our new President of Rotaract Club of Macau, Patrick and President of University of Macau Students’ Union. It was also a pleasant surprise to see our former members Saba and Trent, who looked as sharp and energetic as they used to be. There was a lot of celebration in the meeting. We celebrated the birthday of the July birthday stars, including Fatima, Andy, Freitas, Ip, Gary and Aris. IPP Fatima and PE Ip were there to cut the giant birthday cake. PP Sam was also recognized as the Paul Harris Fellow. Hurray! I shared the message from RI President Barry Rassin. To explain RI theme “Be the Inspiration,“ he quoted French writer Antoine de Saint-Exupéry goes: “If you want to build a boat, don’t begin by collecting wood, cutting boards, or assigning tasks. Begin by awakening in the souls of your workers a longing for the vast and boundless sea.” What are you longing for in terms of the impact that you want to make in the community this year? To me as the president, I’m longing for strengthening our club by better engaging our members. My plan is to have one internal and one external speaker each month. So, if you have a good speaker, bring him/her to one of our meetings. I’d also very appreciate if you can volunteer to be our internal speaker. In addition to our signature projects, I’m also opening up the possibility of doing service projects that our Rotarians are passionate about. Let me know if you have speaker recommendations and service ideas that make you enthusiastic. There were two events that took place on the last day of IPP Fatima’s year, namely the Prevention of Sexual Harrassment Workshop for the St. Paul students who are going to UK for their exchange later this summer. The then DGE YC, DGN Wilson, IAG David were also there support us. 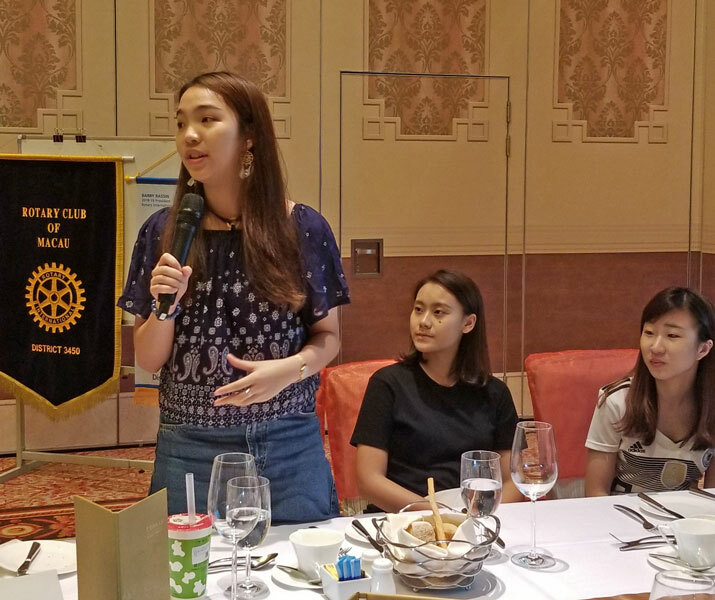 After the workshop, we moved to the 27th Anniversary Exhibition of Rotaract Club of Macau, where we saw so many historical pictures of our Rotaract Club, which is the incubator of young leaders in our club as well as in the community. I cannot be more proud to see their success and succession as their Past President 10 years ago. Thanks to the help of IPP Fatima, the exhibition is taking place at the Tourism Office Exhibition Center at the Leal Senado Square until tomorrow (July 8). Stop by and take a look when you have time. Perhaps you will see your faces on the pictures as well. The next meeting will take place in Conrad. But we will end the regular meeting a bit early (around 9:15) as we will have our first board meeting for this year. Following are the upcoming activities for your information. Please mark your dates, especially the Joint Installation on Sept 1.